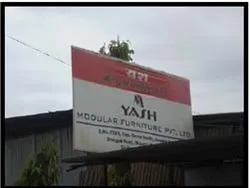 Established in 2005, we, “Yash Modular Furniture Private Limited”, are suppliers and manufacturers of a wide assortment of Modular Office, Modular Kitchen, Lab, School & College Furniture. Furthermore, we follow a strict quality regime to ensure that our range is defect free and compliance with international guidelines & norms. It is available in vivid patterns & designs and appreciated for its durability, high strength & resistivity to adverse conditions. 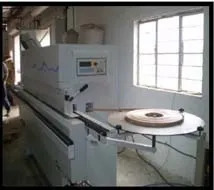 Through the constant efforts of our efficient professionals, we are able to serve our clients with a quality range of Wooden Bed, Office Workstation, Office Cabinet, Office Furniture, Conference Table, Manager Table, College Desk, Drawing Table, Laboratory Furniture, Hostel Bed & Furniture and many more products. We have also been supported by a well-connected distribution network, which help us in assuring the timely delivery of the consignments at the client's end. Due to these attributes, we have been able to cater to the demands of our esteemed clients based in the national market. Our managing director, "Mr. Rajendra Jadhav", holds wide industry experience and knowledge in this domain. 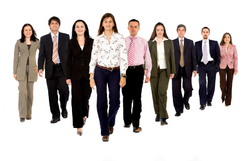 His in-depth expertise and strong business acumen has guided our professionals in every aspect. Under his able guidance, we have been able to edge a reputed position in this highly competitive industry. We are backed by a team of professionals, which is highly skilled and dedicated towards providing our clients with quality proven products. Our team members hold profound knowledge in their respective domain and help us in the streamlined production of our range of Modular Office, Modular Kitchen, Lab, School & College Furniture. 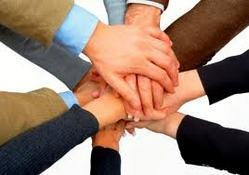 Al these professionals work in tandem with our clients to understand their exact requirements and strive their best to meet the same with complete exactness. 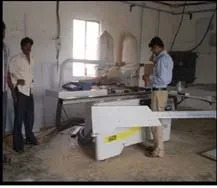 We also conduct training sessions for our professionals at regular time intervals to keep them abreast with industrial guidelines and development, which leads to manufacturing of superior range of products for clients. Modular Furniture is Furniture that is composed of standardized units or sections. Modular furniture can be combined in various ways by means of interchangeable parts. Modular kitchen Designs have revolutionized the Kitchen Decor all over the world. Such vibrancy makes kitchen vulnerable to it becoming a messy place, if care is not taken. It has been very rightly claimed that if one who can organize kitchen can organize life easily. Designs of modular kitchens look organized as well as offer ample storage by optimizing the available space. Modular kitchen designs help us assimilate aesthetics and functionality in our kitchen. It must be remembered that kitchen is that place in our home that is meant for the most important activity. Interior designers claim that if kitchen decor is not pleasant, then the entire culinary act can seem an ordeal The merits of modular kitchen designs lie in the fact that they make cooking celebration. All the facets are taken into consideration while designing modular furnitures. Modular kitchens are called so because they are made of modules that are put together to form kitchen design, modular kitchen cabinets are designed in a way that suits the size, length and breadth of the kitchen. In fact as the important accessories like ventilators, chimneys, sink etc are inbuilt; hence we need not worry about installing them later. We are a reckoned manufacturer and supplier of a comprehensive array of Modular Office, Modular Kitchen, Lab, School & College Furniture. 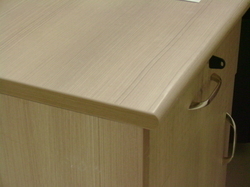 It is designed using superior quality material and in compliance with current market trends. This product range conforms to international guidelines and can also be availed in vivid patterns, designs, colours & sizes. Our collection of Office Furniture is extensively used in commercial offices and homes and is offered in customized forms as per the clients' requirements. Mr. Rajendra Jadhav - is technical fitter by qualification. He is having 7-8 years of experience in this business line. Earlier he was working in Middle East packaging Ltd. Dubai as plant technician. He is taking care of marketing and administration department of the company.